Is McCoist running out of time in the Ibrox dugout? This whole notion of Ally McCoist’s managerial ability being cast into question is being reported by the mainstream media as though it’s a new phenomenon. I ask you, have these cynics been living under a rock since the former Question of Sport panelist took over at Rangers? True enough, the Ibrox club have been a shambles in the early part of this season, what with embarrassing draws against Peterhead and Berwick Rangers in the first month of their unprecedented new campaign in Division 3. But the team’s capitulation under McCoist throughout last season could have been enough to remove him from the hot-seat. The Gers held a commanding lead in the league, only for cracks to emerge, giving a resurgent and blood-hungry Celtic side the impetus to go on and claim the title. These results aren’t those of a team challenging for a title, and I’m sure alarm bells would have been ringing if the club and the Scottish media in general hadn’t been engulfed by the financial issues surrounding the club. McCoist’s failings didn’t just start towards the end of last season. Rangers’ Scottish Cup participation ended when a hungrier Dundee United side rose to the occasion to claim a 2-0 victory. The League Cup also eluded McCoist’s men at an embarrassingly early stage in the season, thanks to a plucky Falkirk side managed by former Rangers player, Steven Pressley. The Bairns stunned McCoist’s men as early as September in a five-goal thriller. Yet for some reason, it was put down to a minor blip. These errors and poor performances had damaging effects on Rangers, in terms of morale and of course revenue, but McCoist’s card was marked earlier still, in a shambolic European campaign that lasted all of two fixtures. If ever there was a season where Rangers needed a run in Europe, it was last season. The club were on the brink of financially instigated oblivion. The fans knew it, McCoist knew it, the players knew it, and the board knew it. Despite this, the manager failed to inspire his players to overcome mediocre Swedish outfit Malmo, losing out 2-1 on aggregate, and losing any hope of the estimated £15m windfall that comes with Champions League football. Some of the more defiant and stubborn pockets of the Rangers support would have you believe that McCoist’s troubles came as a result of Craig Whyte’s reluctance to release funds for players. While this was partly true, McCoist DID have money to spend, the fact is, he simply spent in poorly. Of those 7, how many would you give pass marks to? Goian and Bocanegra certainly. Lee Wallace, perhaps. But the remaining 4 were without question, poor choices by McCoist. So, does his signing policy instill confidence in the Ibrox faithful this year? Espeically Given that these guys will need to be the men who guide Rangers back to the big time? Ian Black, Fran Sandaza, Kevin Kyle and Dean Shiels should be a cut above their current opposition, and we know little of Anestis Argyriou. None of the SPL signings have shown the skills that would lead you to believe they usually ply their trade 3 divisions higher than they are currently being asked to. As much as it’s admirable for McCoist to stand by the club he loves, even when he knew it was a sinking ship, his catalogue of errors, poor decisions, and general tactical ineptness would lead any Gers fan to worry. Had it not been for the financial troubles, the Craig Whyte (remember him?) debacle, and the Rangers tax case media circus, McCoist would long have been out a job. A hard-nosed journeyman like Kenny Shiels, Billy Davies, or Terry Butcher was the appointment required to steady the ship in these choppy waters. If Rangers have learned nothing else over these past few years, it’s that their club is a business, and a results driven business at that. Gone are the days when the club could make a sentimental appointment like McCoist. Whoever took over from Walter Smith was going to have a huge task on their hands, and it’s starting to look as though this job is too big for McCoist. His endeavors in a Rangers shirt have no bearing on his ability as a manager. I have no doubt that Rangers will win the 3rd Division title this year, but McCoist will make it a harder chore than it should be. His pool of resources dwarfs all of the other Third Division clubs’, even when added together. The time for taking risks is over, but it leaves Charles Green with an unenviable dilemma to resolve. Getting rid of McCoist would all but destroy the rapport he’s worked so hard to build with the support, but would allow Rangers to appoint someone who’s fit for purpose. Someone who’d utilise the resources at his disposal, and make the shrewd (sometimes unpopular) decisions that’d see Rangers ascend back up through the divisions in a prompt fashion. Keeping McCoist, and giving him the short term vote of confidence would further adhere him to the Ibrox faithful in a way that Craig Whyte could only dream of. It would however jeopardise the future of the club, given that a convoluted route back to the SPL in the long term could plunge Rangers back into the financial difficulty that landed them in the Scottish Third Division in the first place. The route back for Rangers will be a long and arduous one, and to my mind, McCoist will be more of a hinderance than a help along the way. We where talking about the same thing in work today, but all off us (including hard nosed Rangers fans couldn’t come up with a name to replace McCoist. Sure you mention Butcher, Shields, and Billy Davies. But would any of these, 2 currently employed in the SPL want the job of the fallen giants? In fairness to McCoist, the defeats came when they had been docked points and were out of the title race already, losses to St Mirren and Celtic in December were more important. But hard to disagree otherwise, he is a poor manager. The ability that Smith had to grind out results hasn’t been inherited, and he doesn’t have Sue Barker to give him a hand when he is struggling. I think the problem Charles Green has is more to do with finance than rapport with the fans. 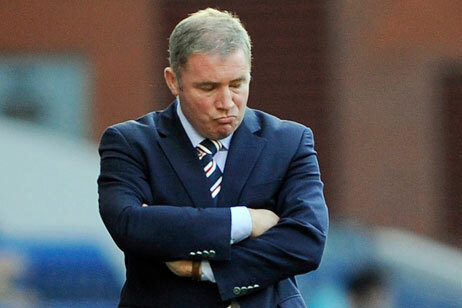 Ally McCoist will have been TUPE’d to Sevco with a very lucrative contract that will cost a lot of money to terminate. That might also explain the “don’t do walking away” thing – who else is going to pay a struggling third division manager the same as Neil Lennon? 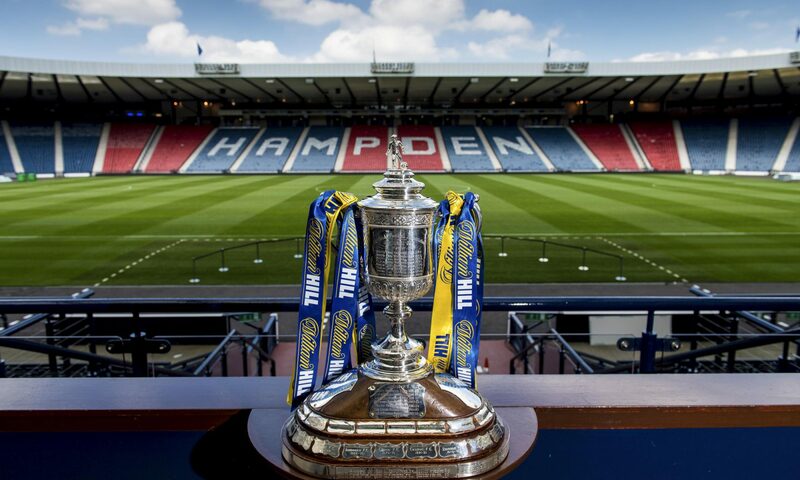 Previous PostPrevious Do the Tartan Army need a new leader to make it to Brazil in 2014?